ALL ABOUT BEING YOUR MOST H.O.T.™ SELF (OPEN, HONEST, TRANSPARENT) SO YOU CAN HONOR YOURSELF + REJECT THE BELIEFS OF OTHERS THAT HOLD YOU BACK. When I think of Danielle - I think, spiritual powerhouse - with a no b.s. approach to life. She’s a mission driven, former corporate medical executive turned spiritual entrepreneur. As the founder of H.O.T. 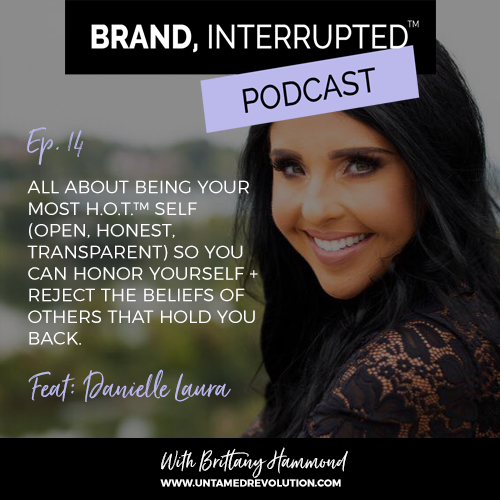 Souls ™ Individual and Couples Coaching, Danielle is passionate about helping people shift their entire paradigm so they can shift and change the world through honesty, openness, and transparency. Her work sets people FREE. + what does stepping into your highest self actually mean? Danielle is a mission driven, former corporate medical executive turned spiritual entrepreneur. As the founder of H.O.T. Souls ™ Individual and Couples Coaching, Danielle is passionate about helping people shift their entire paradigm so they can shift and change the world through honesty, openness, and transparency. Her mission is to help change makers ground into their truth, master their gifting to amplify their zone of genius, cultivate H.O.T., thriving relationships, and up-level their life in transformative ways in order to live fully expressed lives both professionally and personally while making their greatest impact.